The fear of traveling with a baby can be crippling or at least very delaying. It feels like forever since we took a vacation! Luckily, our short weekends to The Culinary Institute of America and Philly gave us a little steam and we booked a last minute deal on a cruise to Bermuda, St. Maarten, Puerto Rico, and Haiti (Labadee) on Royal Carribean’s Explorer of the Seas (EOTS). If you’ve been reading FoodMayhem for a long time, you may remember our mediocre experience on a Princess Cruise about 4 years ago. I assume your asking – Why would we go on another cruise? The simple answer is that I probably wouldn’t if it weren’t for traveling with a baby. We thought cruising, especially departing from a port 30 minutes from us in Bayonne, NJ, would be easier and we were so right. With a baby cruising is the way to go: there is always a bathroom available, the room is always there for any nap times, and food is always available. Find a cruise port near you and you don’t have to get on a plane/deal with the insanity that is airports. That short list of reasons is enough to travel by cruise ship with a baby. We’re looking for our next one already! I looked back on the posts from our cruise in the Mediterranean (stops in Dubrovnik, Corfu, Katakolon, Athens, Mykonos, Kusadasi, Rhodes, Santorini, Naples) and I wrote about how mediocre the cruise food was then. Yet to compare, Royal Carribean’s food was worse with much less variety. The breakfast buffet on EOTS was the same every day. The breakfast in the dining room only changed marginally (like flavor of pancake). I was also shocked by how much processed food was being used. At this volume (15,000 meals per day) I would have thought it was more profitable for them to make everything themselves. Most of the fruit was often under-ripe which made sense when I found out they only load the ship with food on the first day and don’t stock up at ports. Of course then the fruit will be under-ripe. Overall, I would call most of the food on the ship, just plain bad. Most of it tasted like canned food or bland children’s food. Even the soup’s were just sad: overly-salty and certainly not made from stock, bouillon-based and barely anything in it. Even cookies were horrible: dry and tasteless. On the upside, I weighed myself when we got back and that’s the first vacation I have ever gone on without gaining an ounce. I do have to compliment the waitstaff all over the boat. They were all great with Caya and she loved seeing the friendly faces every day. 1. Try to find ships with more specialty restaurants. There’s a small surcharge but usually much better food. 2. Choose itineraries where you are off the ship for more meals, especially when you’re in the Mediterranean where the local seafood was just awesome! 3. We noticed on both ships that food got a bit better towards the end. I’m really starting to think that they strategize this way. So you can strategize by going to more specialty restaurants in the beginning or trying really hard to eat off the ship. 4. On EOTS, we noticed that lunch in the dining room was much better than dinner. Our guess is that the volume is so much smaller that each plate receives more attention and the quality of the ingredients are better too. If anyone knows of a cruise line that does serve very good food, please let us know!! posted by jessica	at 10:06 PM	Filed under Miscellaneous, Travel. You can follow any responses to this entry through the RSS 2.0 feed. Both comments and pings are currently closed. 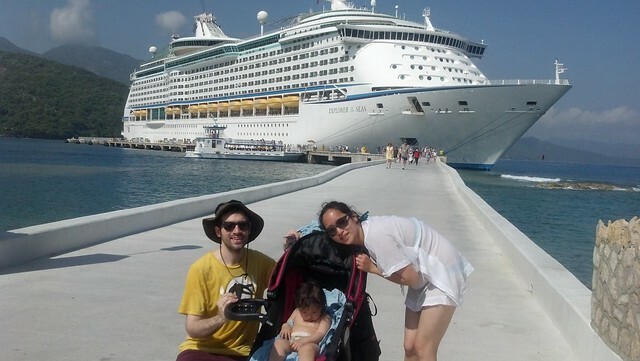 We went on a Mediterranean cruise and the food wasn’t so bad. Perhaps because it was a small ship. I’ve heard that the more expensive cruise lines have better food, but I can’t do all the research alone. Hope you will help – lol -perhaps other readers can jump in with their experiences. Irene, which cruise line were you on? I just read that Oceania has good food but they highly discourage children on the boat and that’s why we’re cruising. You just satisfied my thoughts about cruises. We vacation mainly for the food because we live in Nashville and it’s limited here. 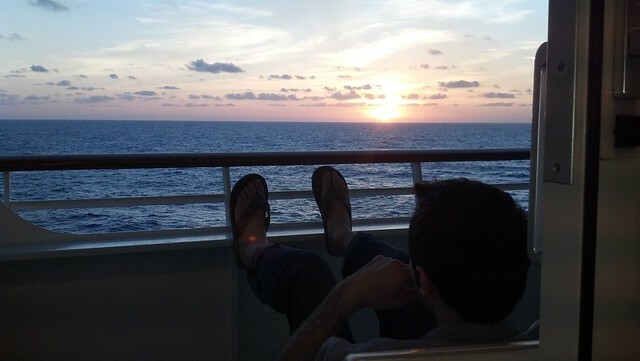 I would be disappointed on a cruise, but glad you had a good time anyway. Angela, we’re going to be in Nashville in Oct. I would love some rec’s for must-eat places!! The larger the passenger list the worse the food it’s a direct ratio. We took a Windstar cruise – total passengers 140 and the food was fabulous. Not just good, fabulous. And the Chef will work with you on food allergies or preferences. You’re right–food was so-so when we went on our RC cruise. But the trip was great with the kids. We went to the Bahamas, and they had their own private island complete with babysitting, as well as an aqua park and kiddie race course. So fun! Asianmommy, I can’t wait till Caya gets to the age where she can join in on the camp stuff too! !